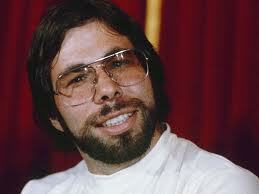 Steve Wozniak , the co-founder of Apple Computer, decides to leave to pursue other interests. Reportedly he was unhappy that the company was devoting most of its resources to the Macintosh at the expense of the Apple II. He remained a shareholder on the board and eventually come back as an advisor when Gil Amelio became CEO. He makes sporadic appearances at Apple events but still does not perform in any official capacity at Apple.